It is almost time for Halloween and I am so excited! We love this time of year….the weather finally starts to get cooler so we can go outside much more. There are also a ton of pumpkin patches to go to and Halloween Parties to attend. Last year, Baby Roku was sick during the whole week prior to Halloween and was still under the weather on the actual day. So we are even MORE excited to really celebrate this year! As far as a costume, I was thinking he would be a Vol Football player, however I got inspired to try something different when I was at a birthday party this past weekend. I am very careful about what I apply to Baby Roku’s skin, so any type of face paint MUST be safe and natural. 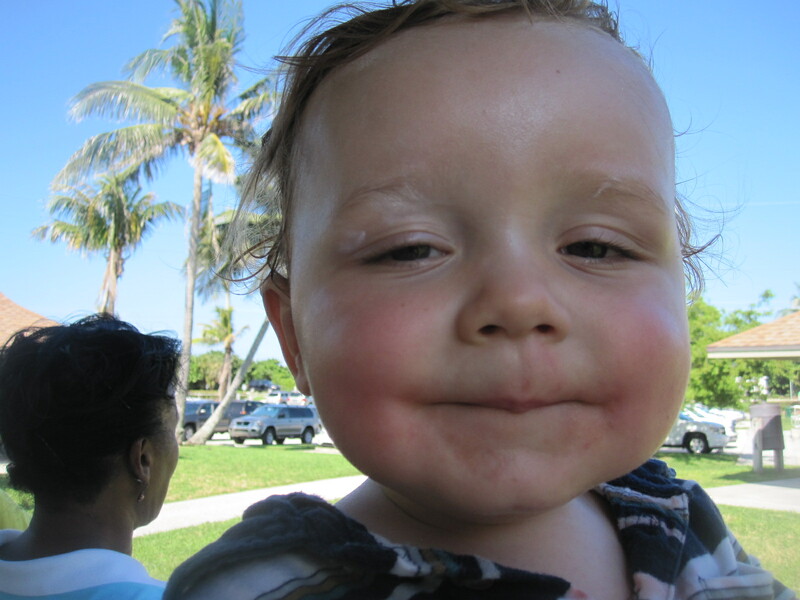 At the party, Baby Roku ate 4 wedges of watermelon which began to stain his face red. He also had white around his eyes from the California Baby Sunscreen Stick that we had applied to him earlier in the day. I had to take a picture and noticed he kinda looked like a CLOWN! Hence the inspiration to try a home-made, food-based face paint. The recipe for red face paint made from organic beets is below. You might need to melt the shea and cocoa butter over low heat before mixing in the beet juice if it is too solid. Slowly drop the beet juice into the butter mixture until you have the desired shade of red. Pictures of the actual costume to follow!! !